1) Pay us via paypal. mail, we will check our paypal account. KEY to your mail adress. 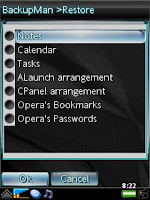 unlock all our anounced softwares and beta (project) softwares. 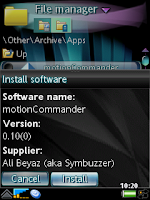 motionCommander is a camera sensor application. With this program you can only lock kaybords. 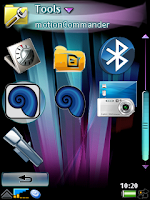 motionCommander is a system & hidden app. 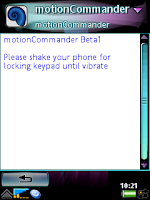 How to use: 1) install sis file 2) open phones cameras lenscover and close camera app from taskmanager 3) run motionCommander and shake the phone until it vibrates. With Landscaper you can select landscape screen mode on your UIQ3 phone. NOTE: This app use QuickOffice's UI for landscaping. Please select 'Landscape' mode from QuickOffice for working properly. NOTE: Some apps doesn't support landscape mode! If your UIQ3 phone didn't hacked, you should hack it. 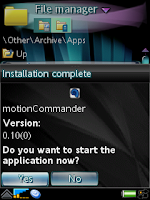 Because its installition package is unsigned. 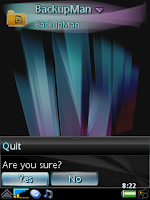 2) Run this program and turn OFF capabilities. 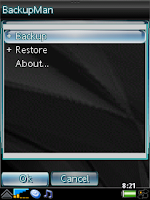 BackupMan copies these database files on your memory card or (in w9x0 series) external storage. 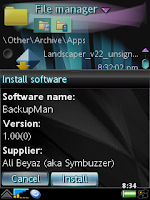 BackupMan is "the first system & hidden mShell app" in the world. BackupMan cracks your platform security automatically via CapsSwitch for operations. 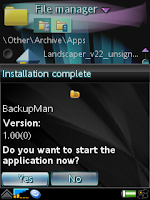 BackupMan is "the first user interface elemented mShell app" in the world. 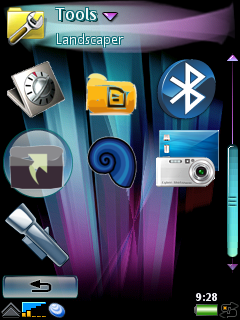 It uses your selected theme. f your UIQ3 phone didn't hacked, you should hack it. Because BackupMan needs full file system access for operations. 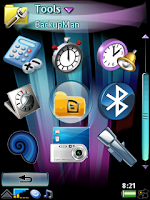 2) Run these program and turn OFF capabilities.